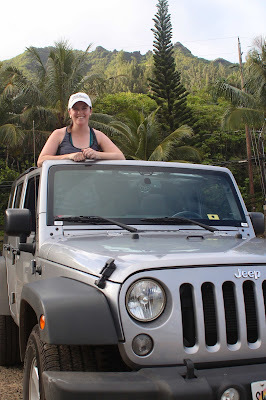 Thanks to so many of you for stopping by this week to read my Hawaii recaps. It's been so much fun to share the adventures of our trip. If you missed any of them, here are the links to: Ko Olina resort area, Pearl Harbor & the USS Arizona, and Waikiki Beach. 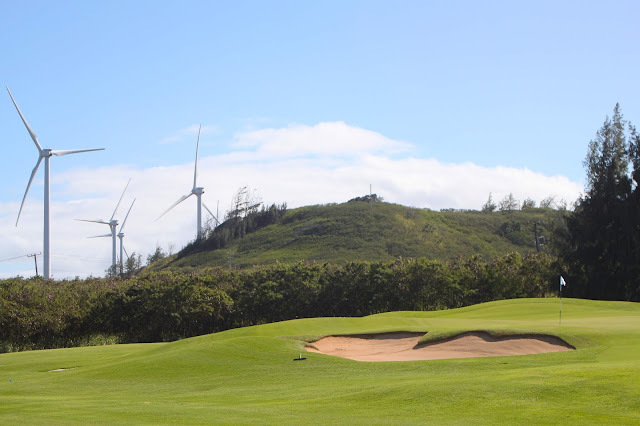 Today, my last recap will be all about one of my favorite days (that turned into two with a follow-up to golf at Turtle Bay) along the North Shore. I would first like to thank Carolann for so many of these suggestions. When we originally thought about visiting Oahu, we made plans to see Pearl Harbor, Waikiki, a couple golf courses, and maybe some waves on the North Shore. 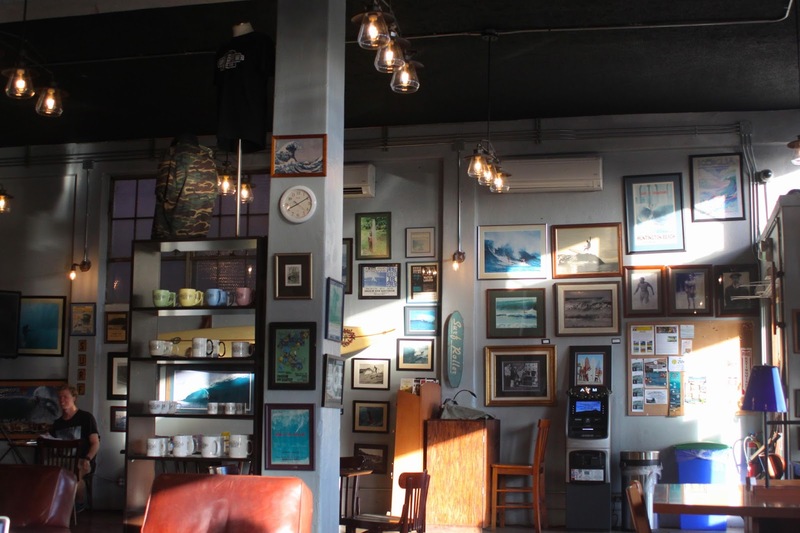 She sent me the most amazing, comprehensive list of where to eat, drink, hike, sightsee, and so much more. The blogging community is awesome, and if you are ever traveling, I highly suggest consulting a fellow blogger! The day after we took our trip to Waikiki, we decided to set off on another morning adventure, this time to the North Shore. 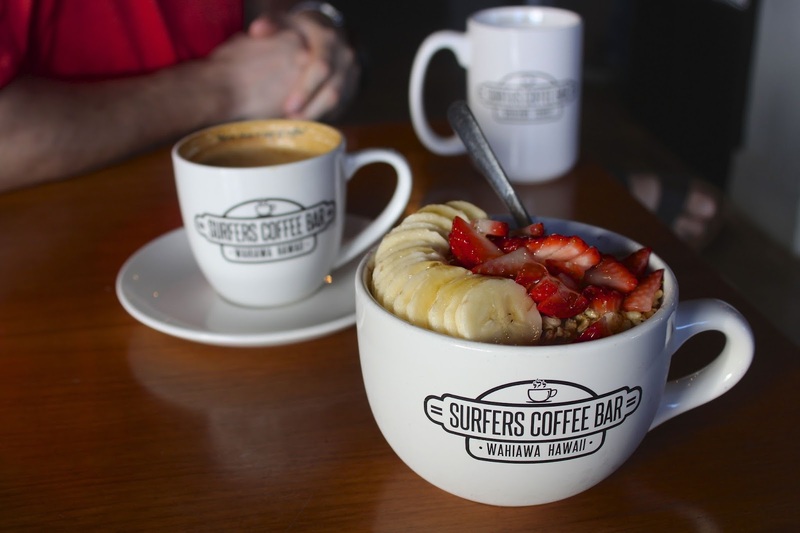 After riding up the Kamehameha Highway, we stopped in the little town of Wahiawa to fill up at Surfers Coffee Bar before our first hike of the day. I had a delicious macadamia nut latte and acai bowl. What I absolutely loved about this place is that all of the people working there are volunteers; the bar is non-profit with proceeds going to local and global charities. 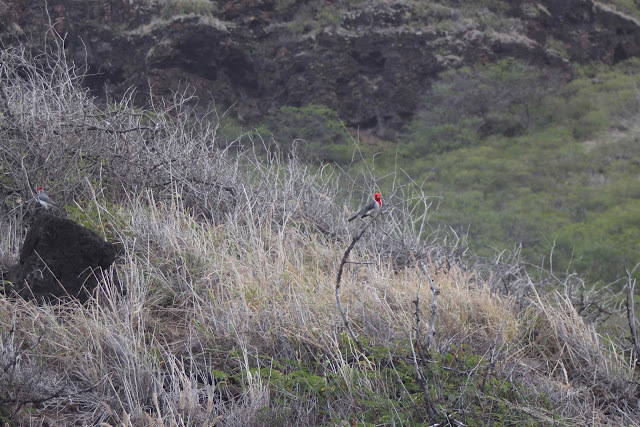 After our delicious breakfast, we headed another 20 minutes to the Northwest corner of the island: Ka‘ena Point Trail. 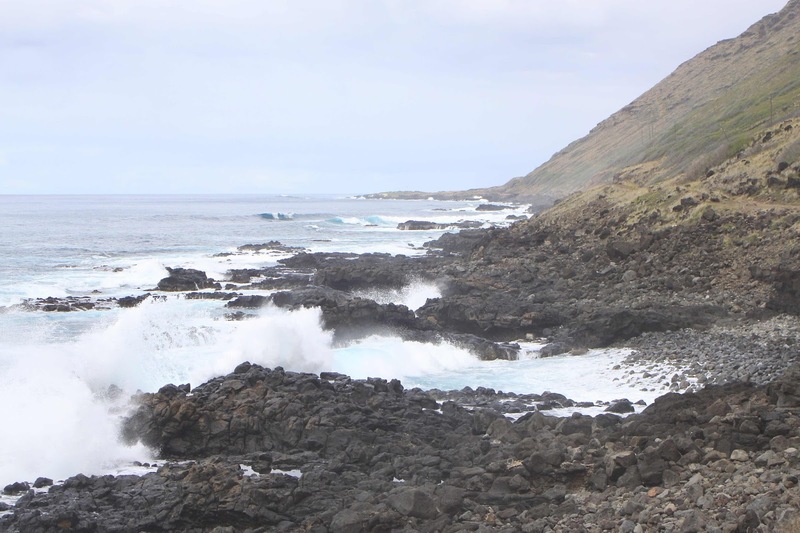 What used to be a railroad track is now a great, scenic hike to the remote Ka‘ena Point Natural Area Reserve. 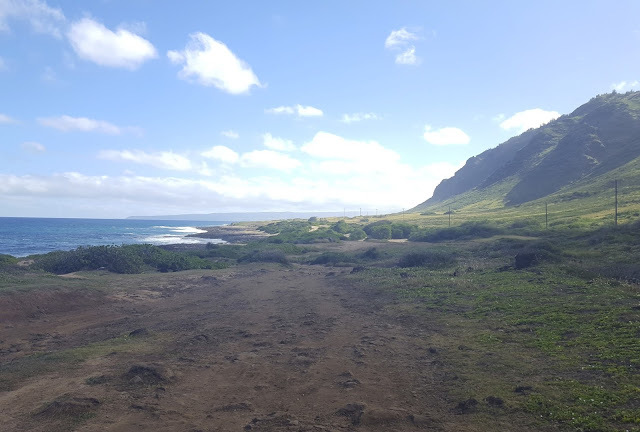 For this hike, we parked at the end of the road on the Mokule‘ia side and ventured along the sand dunes and limestone reefs. 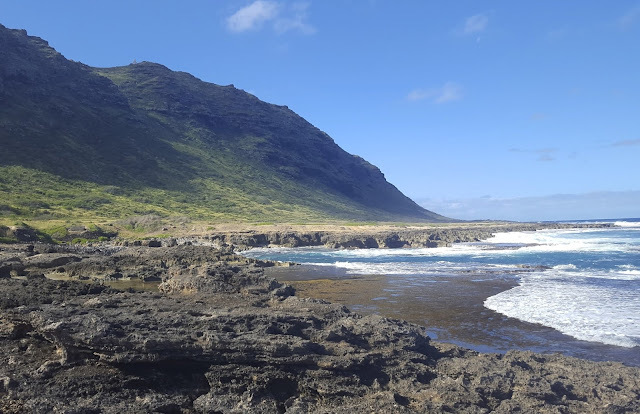 We loved it so much that on the last full day of our trip, we drove the half hour up the western coast of Oahu from Ko Olina to hike Ka‘ena from the Wai‘anae side. We loved that heading towards the same point from both sides were drastically different trails. 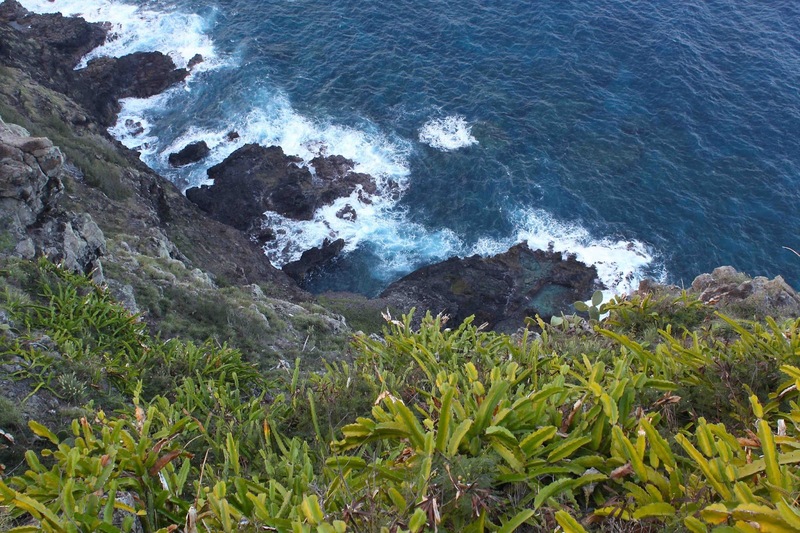 On the Wai‘anae side were higher cliffs and blowholes along the much narrower path. Both sides of this hike can be very hot and sunny, so don't forget to bring water and wear sunscreen if you go! After a couple of hours spent hiking, we decided to backtrack to Dole Plantation to grab a snack before continuing along the Kamehameha Highway. We didn't do any of the tours while we were there but instead just walked around the grounds. They have a great little area where you can see tons of different varieties of pineapples growing, learn about the history of the plantation and the Dole company, and even feed the ducks and fish. Inside their gift shop, you can buy anything under the sun that's pineapple, macadamia nut, or coffee-flavored. We went shopping crazy, and watched a fun demonstration and sample all about the correct way to cut a pineapple. 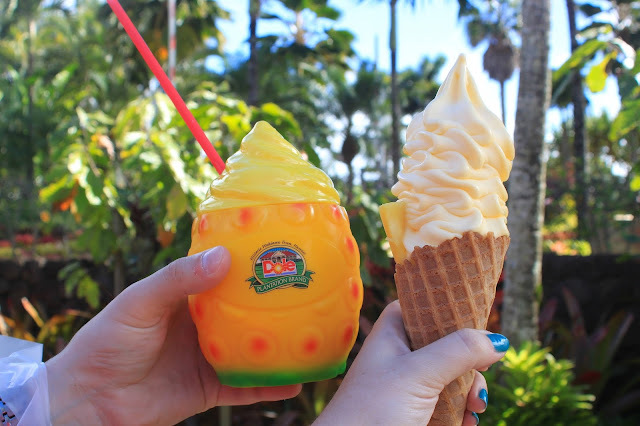 We finished our trip to Dole (obviously) with a DoleWhip and a Dole float, and I didn't think it was possible, but they tasted even better than at Disney! Sidenote: oh my gosh, the wild kitties!! 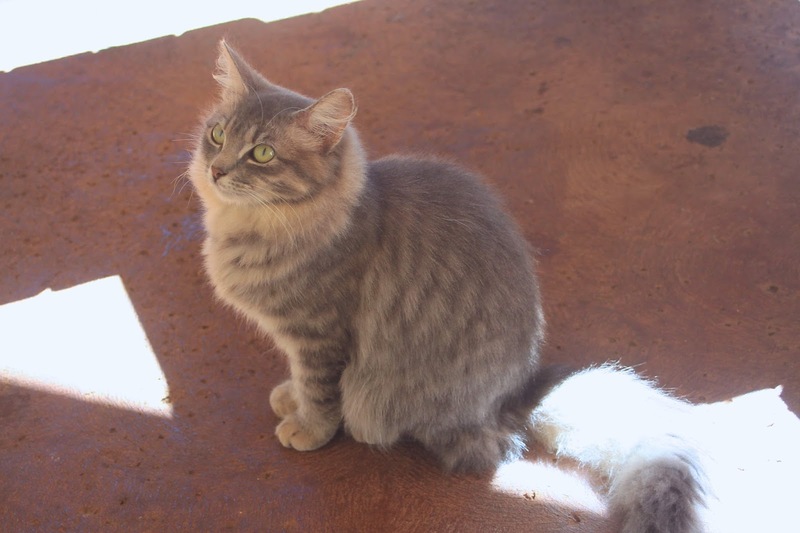 There were a few adorable fluffers at Dole and tons at Seven Brothers later in the day! I wanted to bring them all home ;) but they were definitely loving their tropical lives! 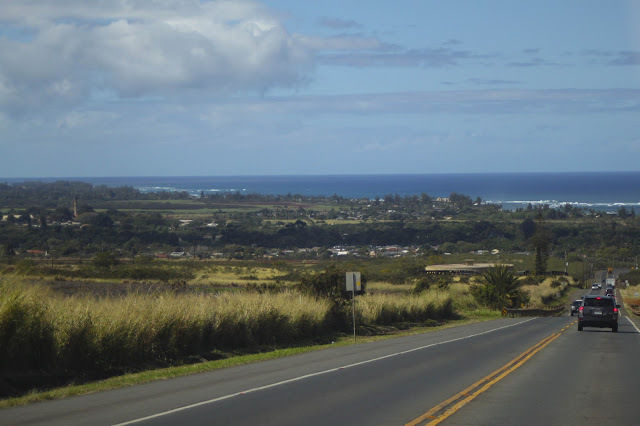 Leaving the plantation, we took a left and headed back up the Kamehameha Highway. I could not wait to see the waves! 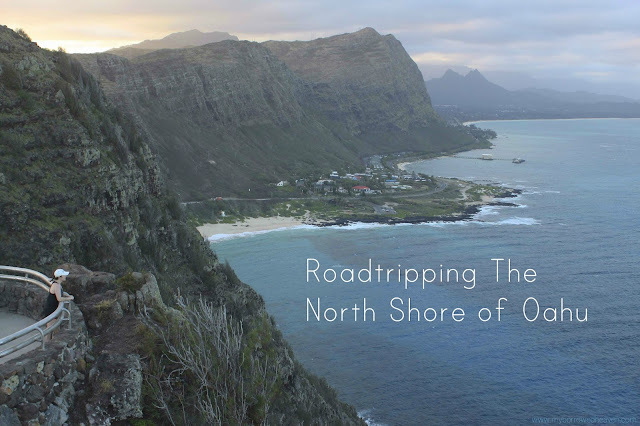 I have seriously dreamed about this my whole life, and I was so excited to learn that there is so much to do along the North Shore. Welcoming you to the area is Haleiwa, the cutest little tourist town. 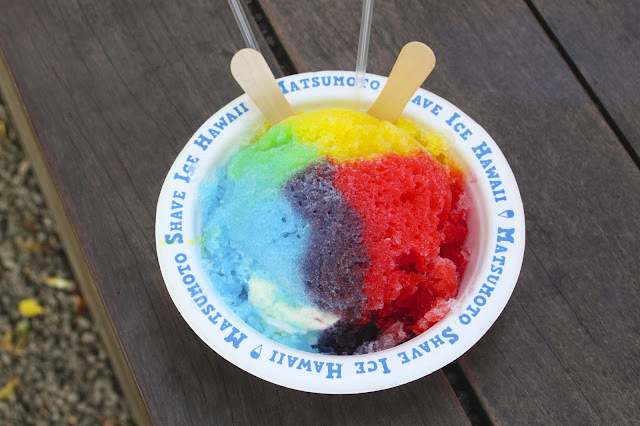 We even made a trip back there the following day to grab the famous Matsumoto Shave Ice on our way to play Turtle Bay. 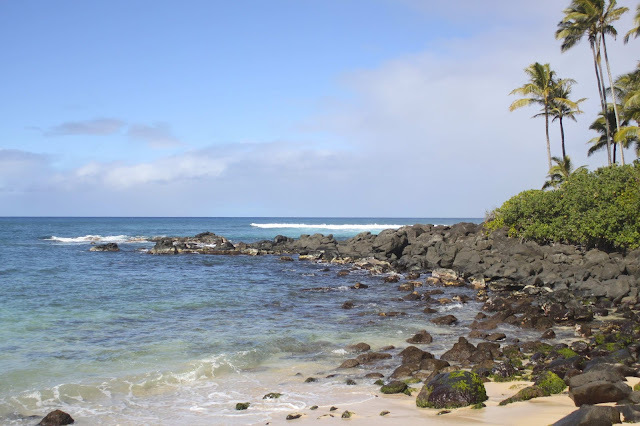 Along the way around the northern tip of the island, we made stops at Papailoa Beach to see the beautiful shoreline, Laniakea Beach to look for sea turtles (which we did see swimming!! ), Waimea Falls, and the world famous Banzai Pipeline. 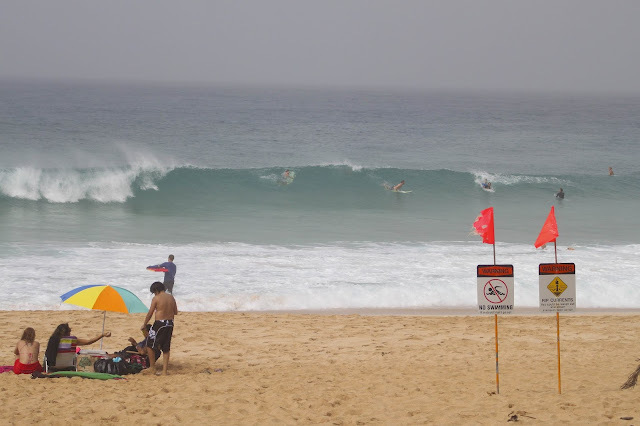 Around this point, it was getting overcast and misty, but the weather brought in some amazing waves! 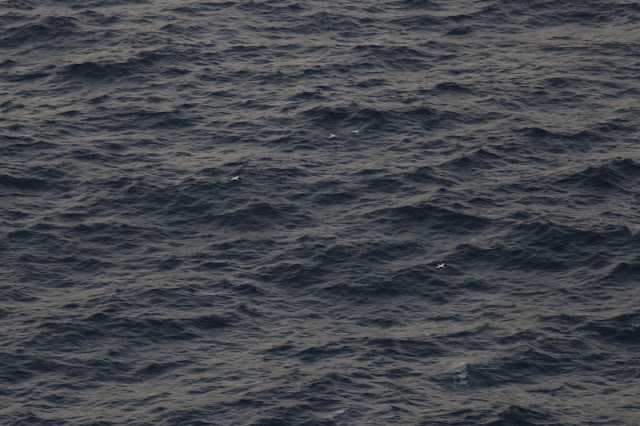 We were mesmerized by the skill of those surfers. Watching them was obviously super draining (lol), so we kept driving to Kahuku for a late lunch. There are tons of shrimp trucks up and down the road. 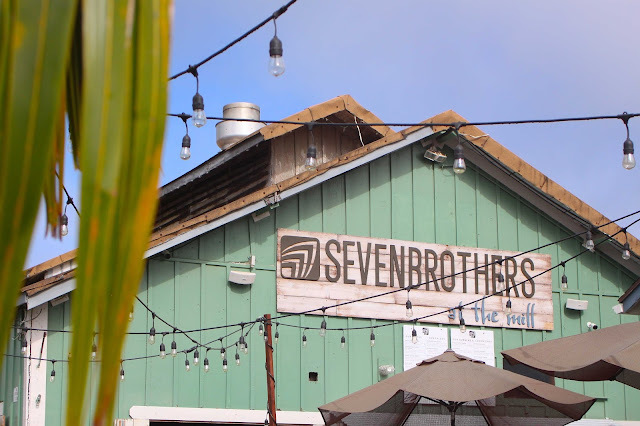 We settled on Seven Brothers at the Mill. This was another place we went back to on our golf day at Turtle Bay because the coconut macadamia nut shrimp was some of the best shrimp I've ever had. 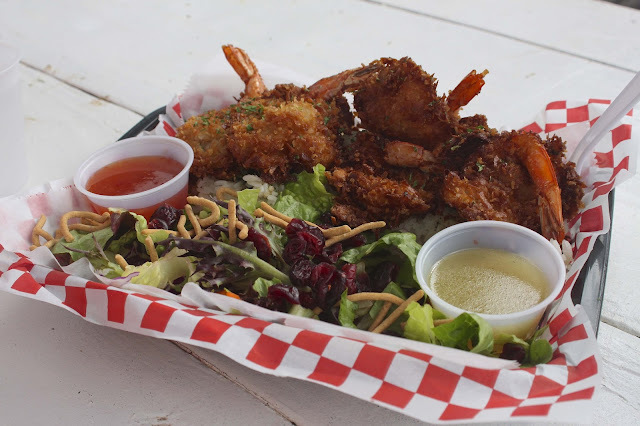 It was served on a bed of rice with this deliciously sweet sauce and a side salad. We also split a Paniolo (Cowboy) burger that had barbecue sauce, onion rings, grilled pineapple, and bacon on it. And what is a meal without dessert? 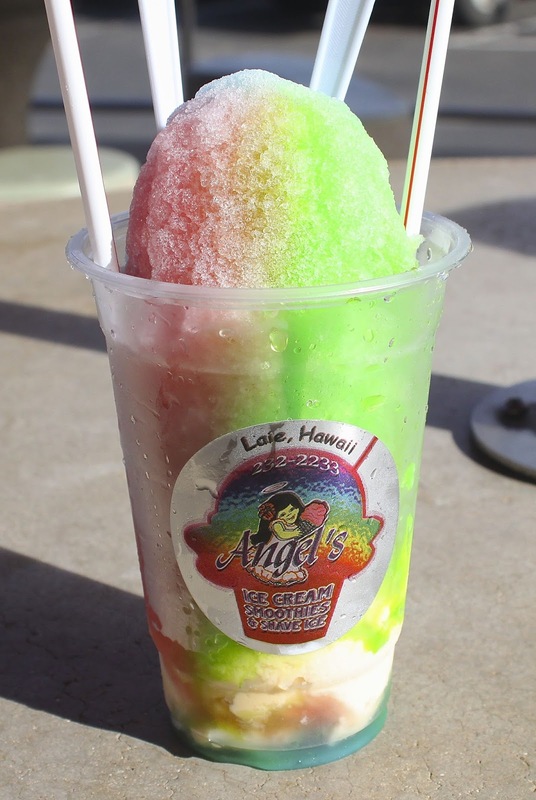 We checked out Carolann's favorite shave ice place, Angel's, just down the road in Laie, and it was our favorite shave ice of the trip. Seriously, could we have done more in one day? We just kept driving, finding more things to do, and at this point, figured why not just drive the whole island? I know this post is a bit of a photo overload, but there's so much to share! Obviously eating all that food meant that we had to go for another hike. 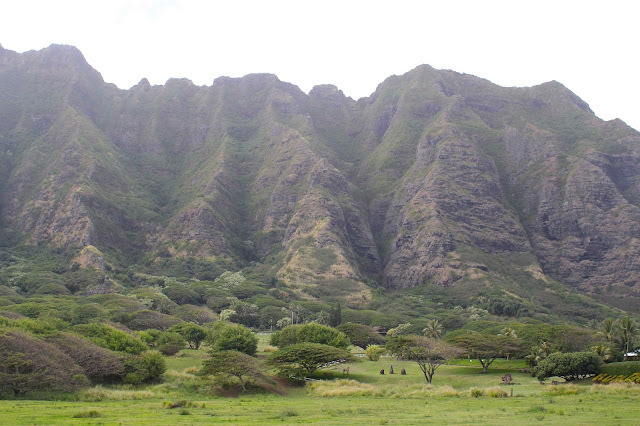 On the way down the windward side of the island, we made one stop near Kualoa Ranch, where Jurassic Park was filmed! By late afternoon, we were at the the Makapu’u Lighthouse Trail. 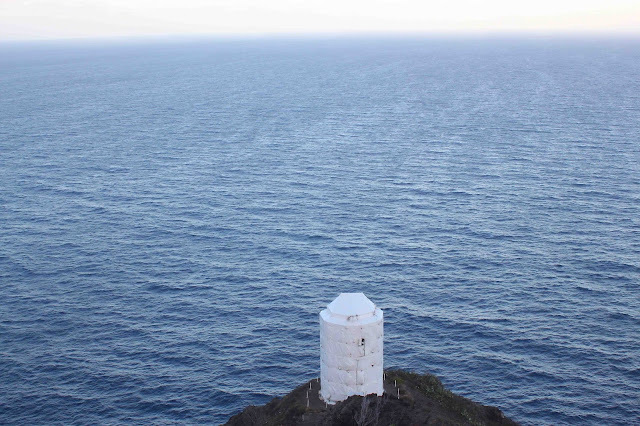 We had gone from hiking at the Northwestern point of the island to the Southeasten point in one day. This steep, paved path was a vastly different hike than our first one of the day, which was much less inclined but much more rocky. The lighthouse at the top of the one mile trail was closed, but it was still more than worth the walk. There are informational and historical markers all the way up, and before you know it, you've gained 500 feet in elevation. 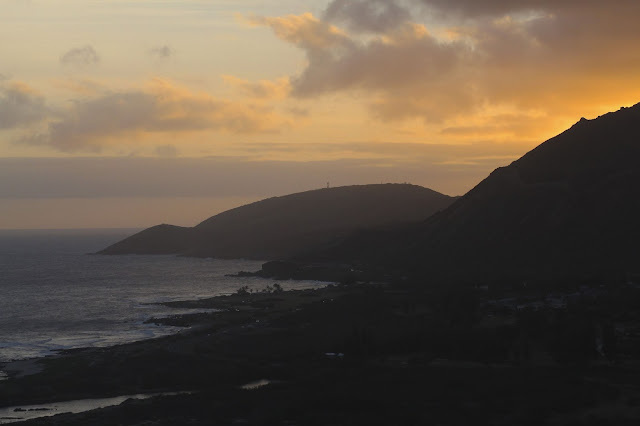 The very first photo in this point was one of my favorite views from all of Oahu, looking North from lower of two lookout points at the summit. I can totally see why this was your favorite day! You guys got to see/do such a variety of things! 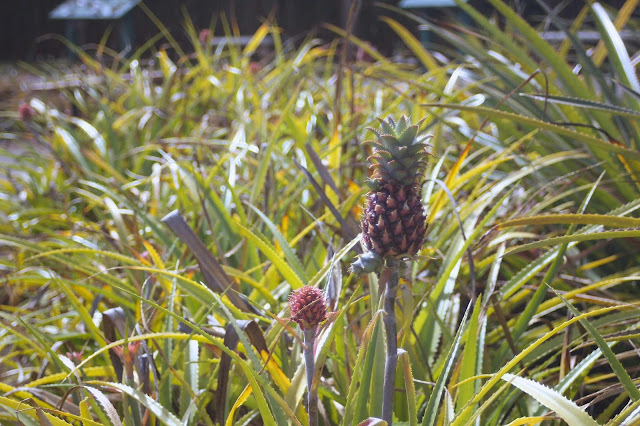 The Dole Plantation sounds really fun and it looks like you discovered such cool trails! So basically I need to plan a trip to the North Shore ASAP right? Right. What a great trip! Oh man this makes me want to go to Hawaii asap! The Dole whip and shaved ice, yum yum!!! So awesome! You guys really packed a lot into your trip! I love the photos. These photos - so gorgeous!! I remember that pineapple soft serve being SO good! Sounds like the perfect way to explore the island (at your own pace) and you caught so many pretty sites and scenery. The mini pineapple is adorable! 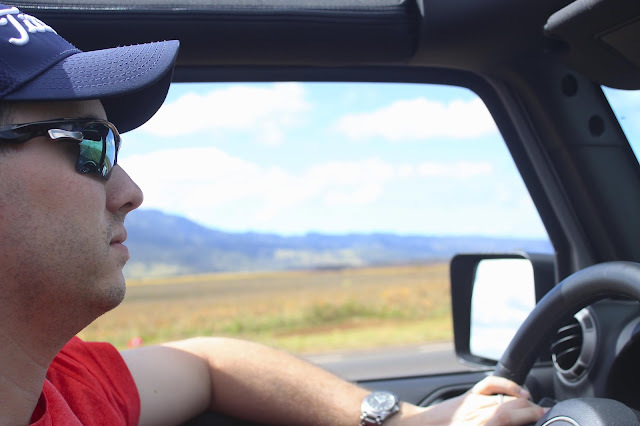 Your drive around The North Shore looks absolutely stunning, and I love that you stopped at the Dole Plantation for some Dole Whips! I totally would have done the same thing! It looks like you two had such a great time! The Dole plantation sounds awesome. I LOVE all of these photos! This post makes me SO happy!! You did so many of my favorite things an I am just so happy that you enjoyed all of my recommendations! Everyone has different tastes but I guess you and I have similar ones! I love that you went to Seven Brothers twice, that you enjoyed Surfers Coffee Bar, Angel's, and the Makapuu Lighthouse Trail! 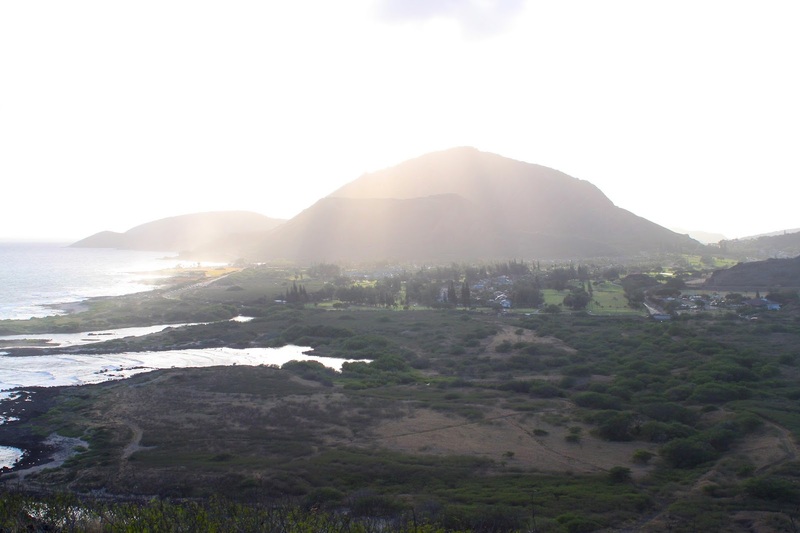 Kaena Point is another favorite - I'm hoping to get out there again soon! Yesterday Nick and I went up to the north shore and ended up just laying on the beach, driving around, and getting coffee. I love that there is so much to do up there. WOW!!! What an AMAZING trip!!! I'll definitely be referring back to these posts someday when we begin dream vacation planning! ;) Thank you so much for taking us along via these incredible posts!! They were so much fun to read and your photos were breathtaking! !